The 'StarCraft' and 'Warcraft' expansions will likely not be out until 2013. Activision's quarterly report yesterday brought us some new information on upcoming games, though most of it isn't surprising and the stuff that is interesting won't put a smile on your face. Certainly not in the way a $4.76 billion revenue in 2011 made Activision Blizzard happy. CEO Bobby Kotick announced that there will indeed be a new 'Call of Duty' game coming this year. In other news, publishers and developers really like money and will continue to cash in 'Tony Hawk' style until the 'Call of Duty' franchise is dead and gone. They're also working on a new version of Call of Duty Elite, which could prove to be interesting. 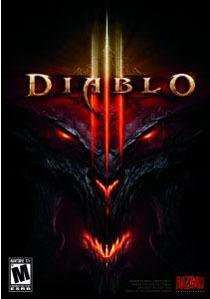 On the Blizzard side of things, 'Diablo III' will launch this year. It was expected in the first quarter of 2012 but the current estimate is Spring 2012. Blizzard will be talking more about the 'Warcraft' expansion 'Mists of Pandaria' at a press event in March and there's no indicator that the 'StarCraft' expansion 'Heart of the Swarm' will hit this year. Blizzard has said that they'll be more involved with eSports moving forward though, which is a welcome change.